Josh L. submitted this photo and caption. 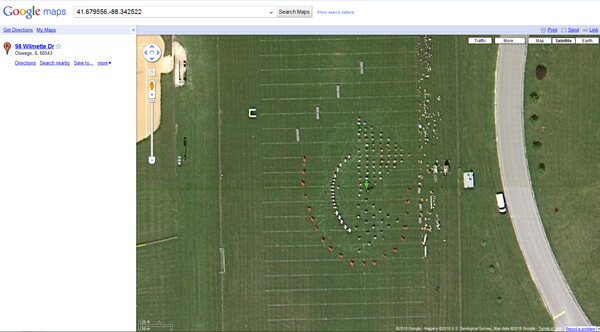 This is a Google Maps satellite image of the 2010 Madison Scouts rehearsing in Oswego, Ill. It was found completely at random by front ensemble member and vibraphone player Clint M. Northwest of the field on the map, one can also find the equipment truck and the front ensemble, rehearsing under a tree.